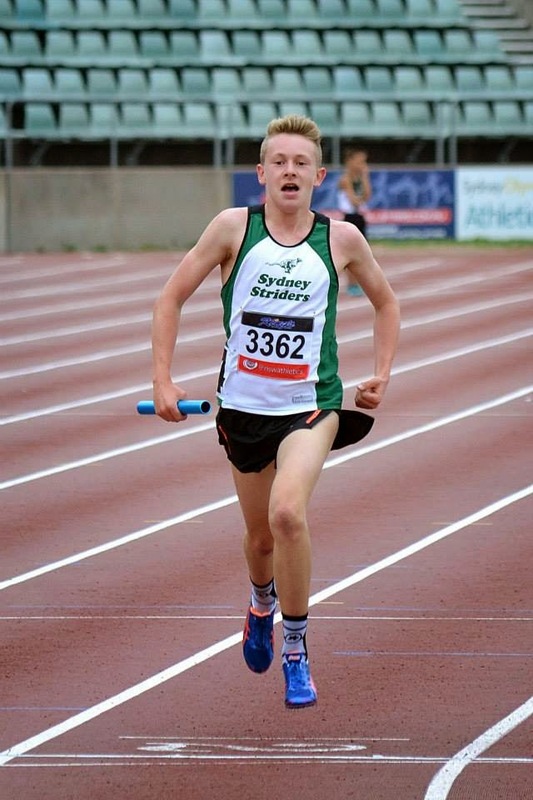 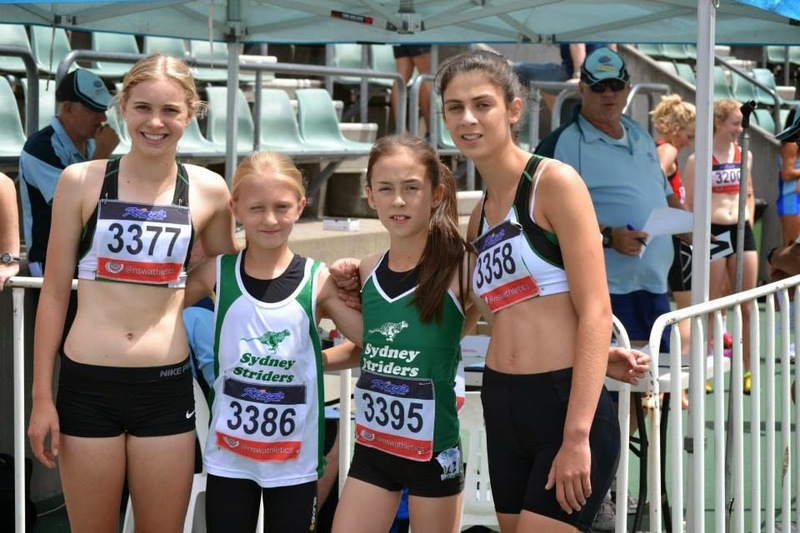 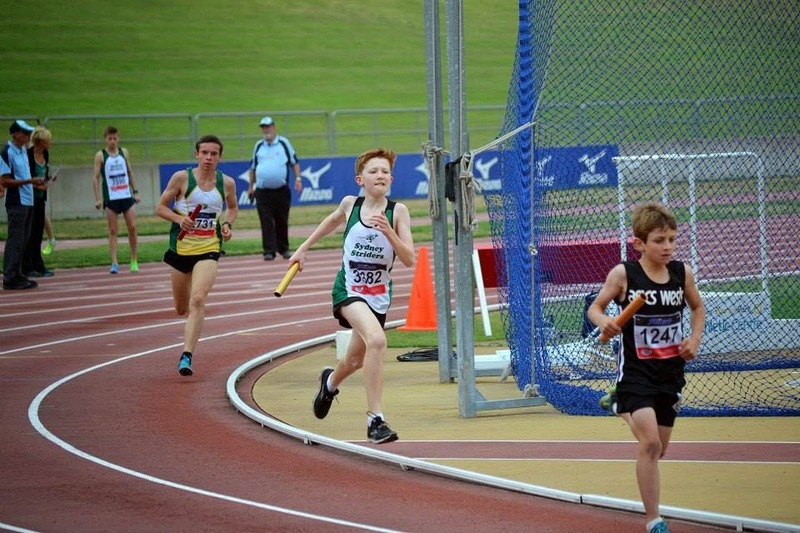 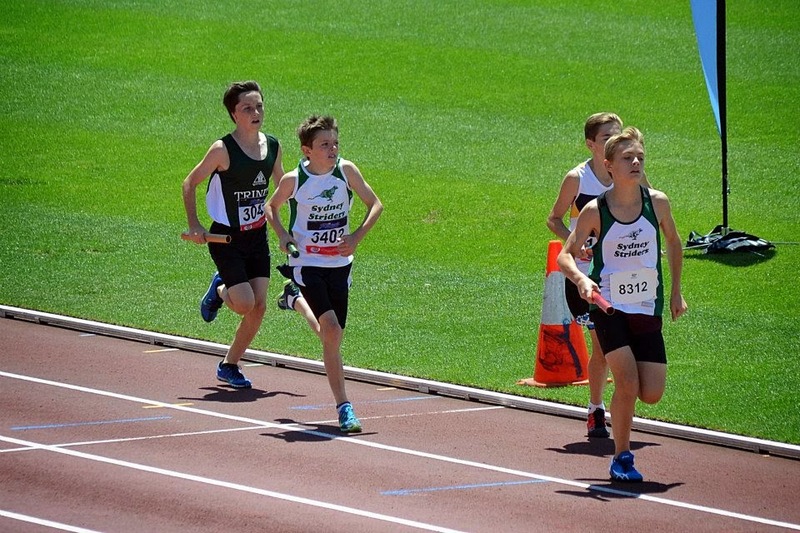 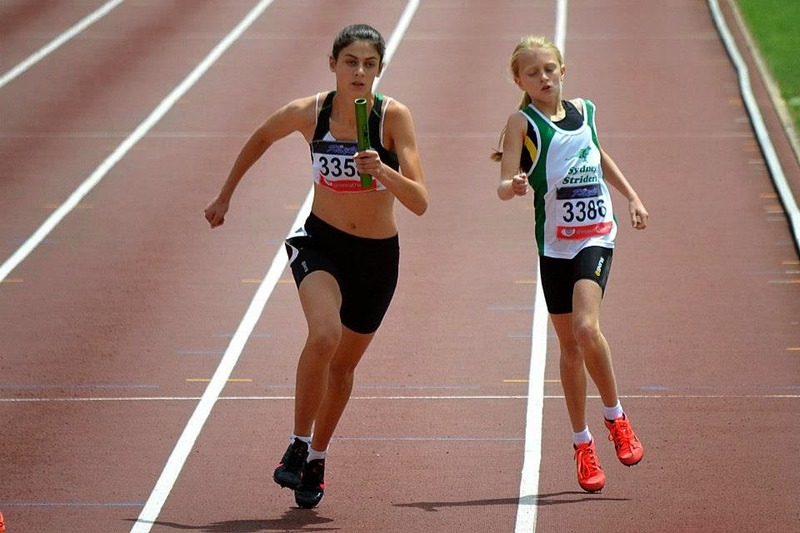 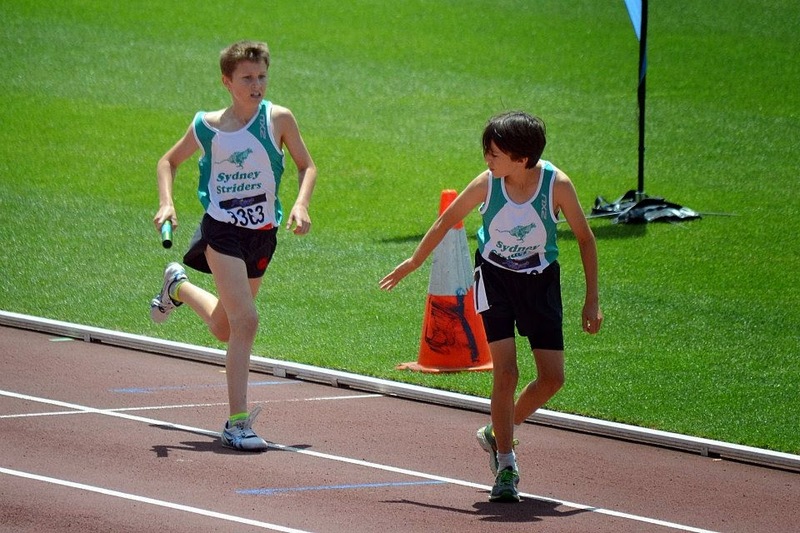 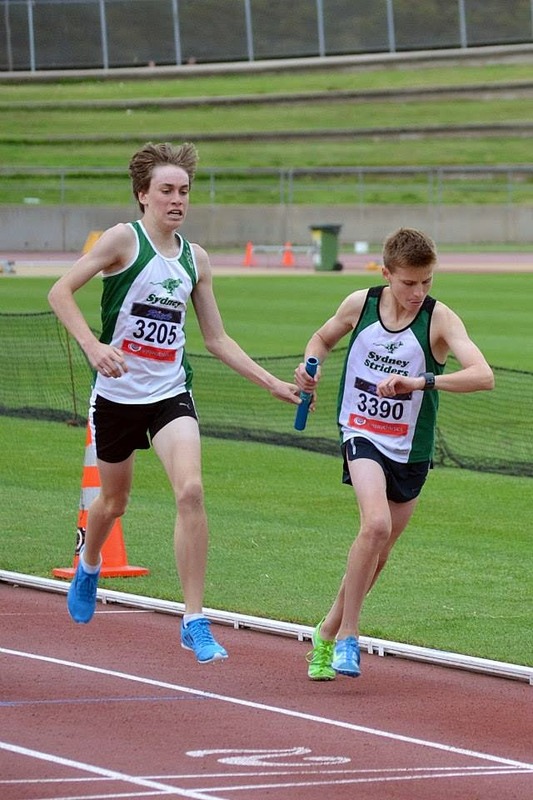 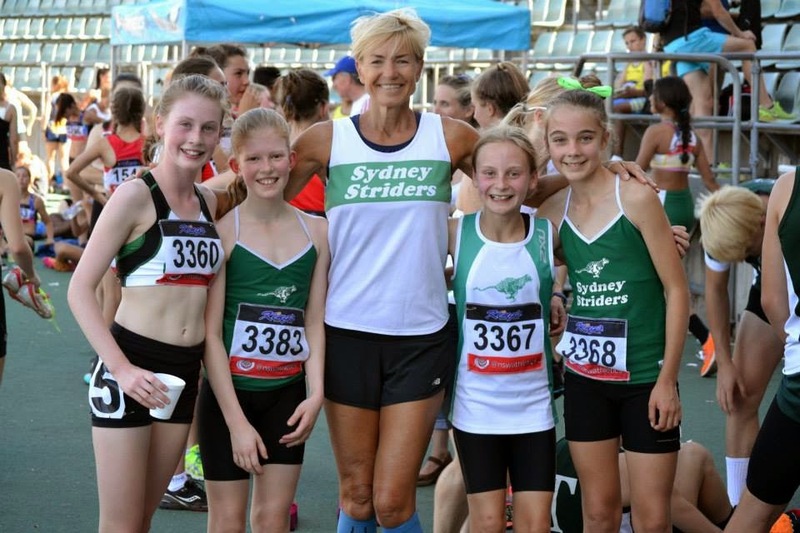 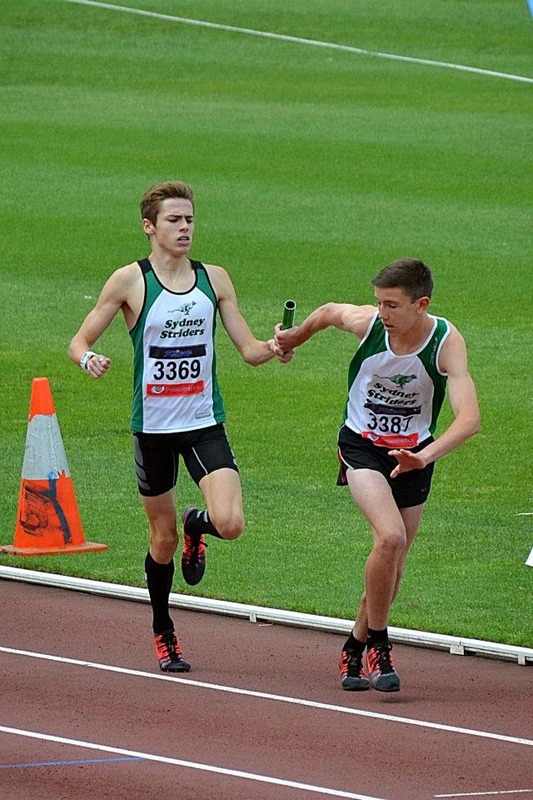 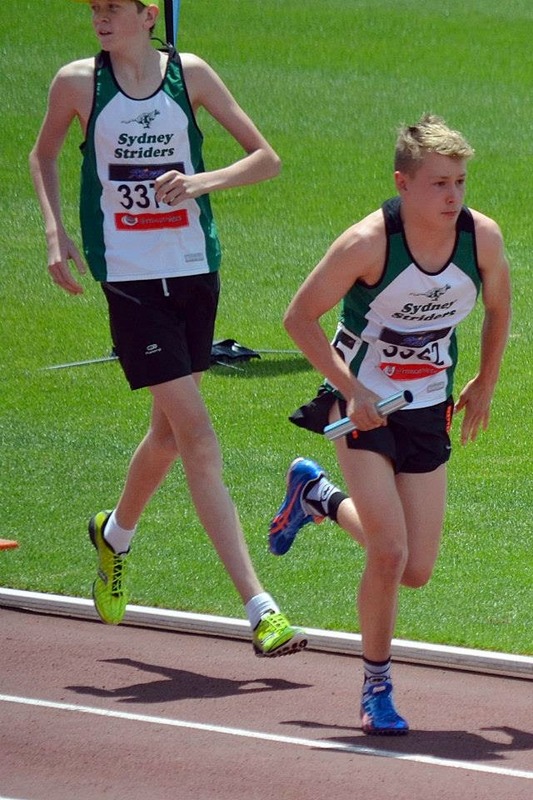 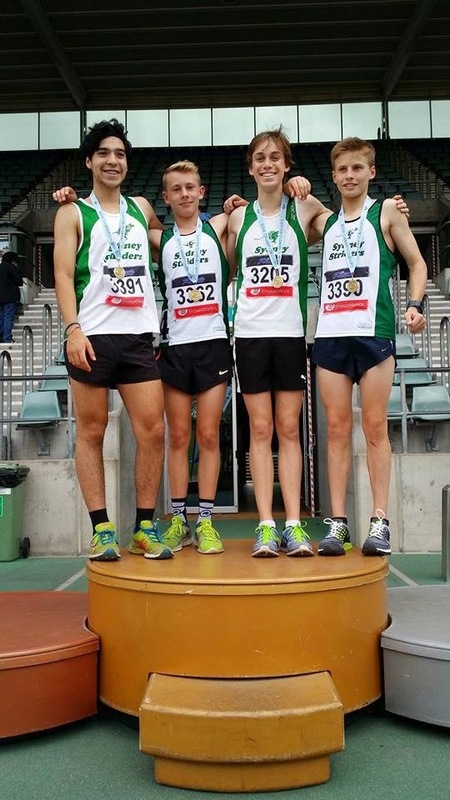 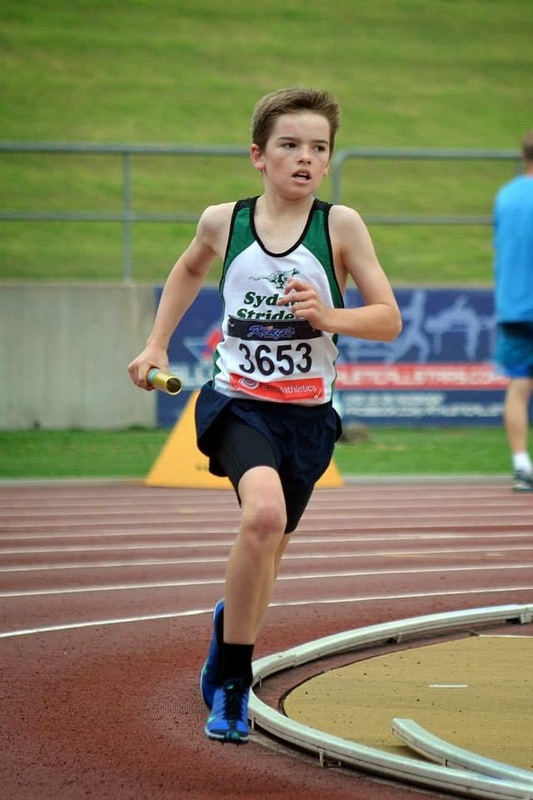 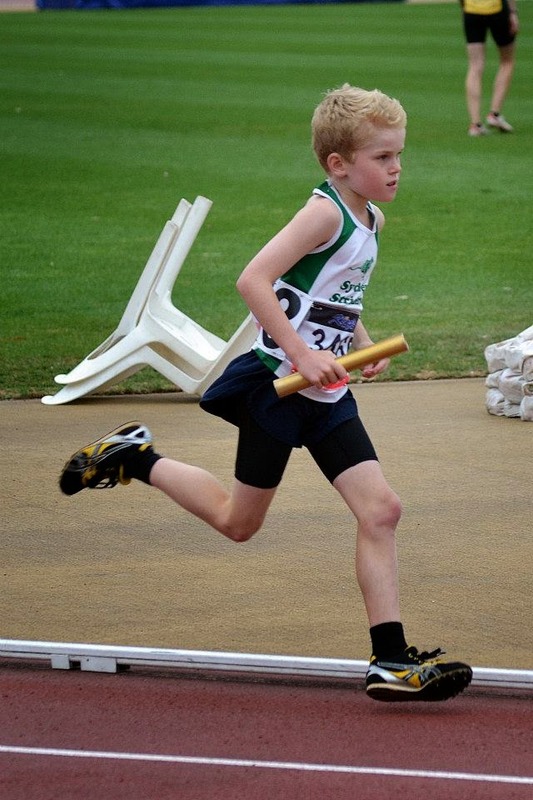 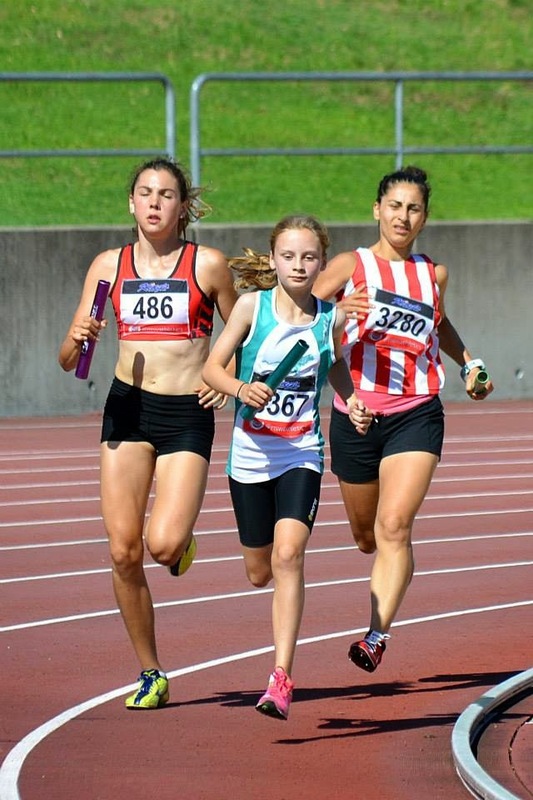 Well the fantastic Junior Striders training and importantly, team spirit, paid off at the State Relays this weekend. 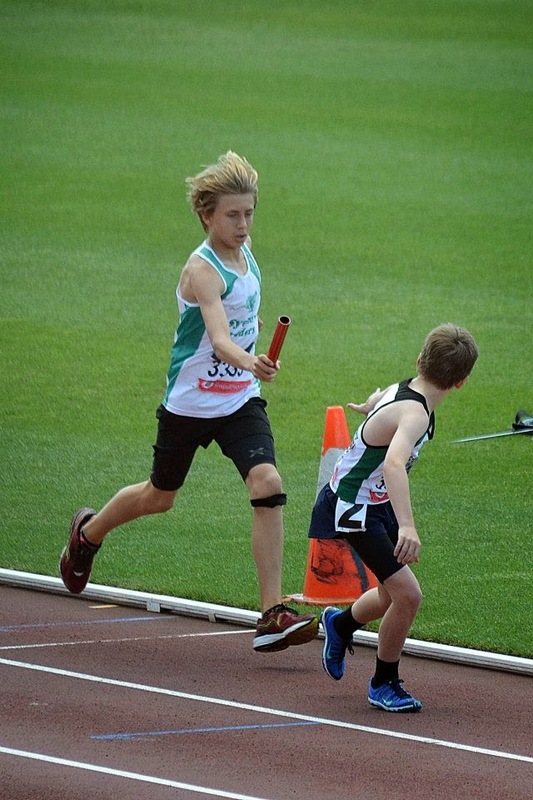 It was a really successful team event, with many Junior Striders, and parents involved in the Relays. 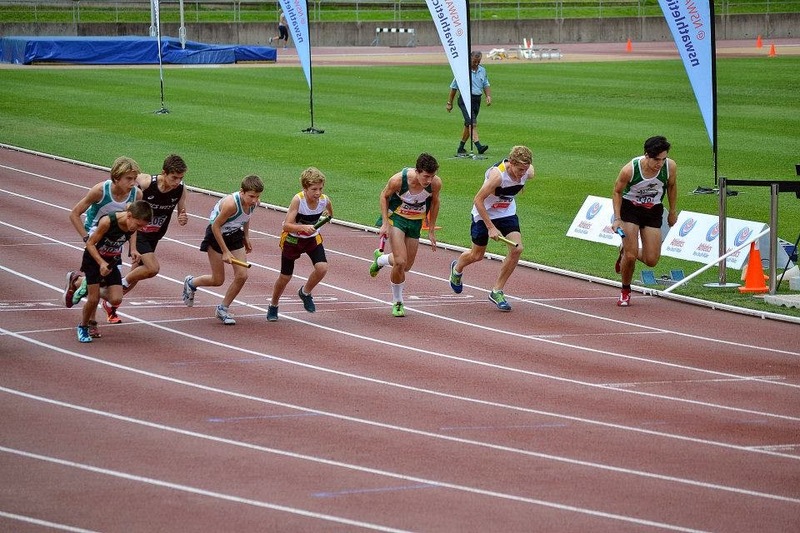 Battling some pretty strong heads, not to mention a bit of Sydney traffic, it was great to see that overall there was great fun and some fantastic results from the weekend. 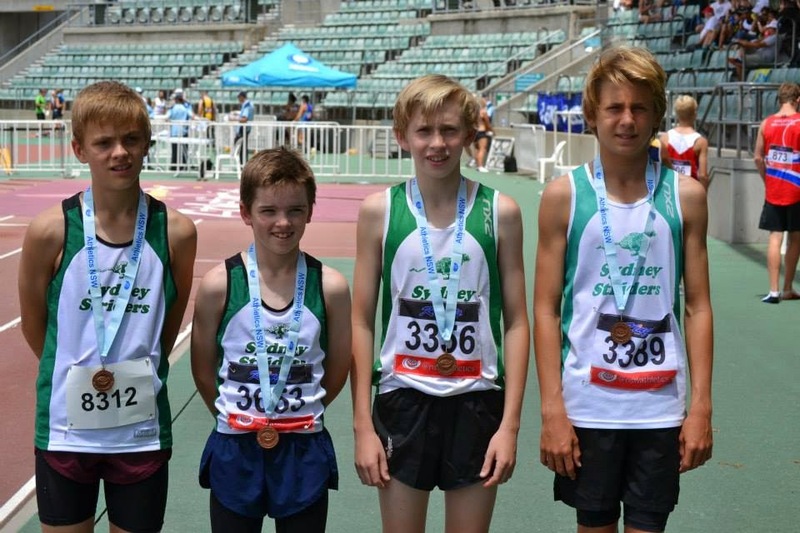 Day 1: 5 Races; 22 Juniors running; 1 Gold, 1 Silver and 1 Bronze medal win. 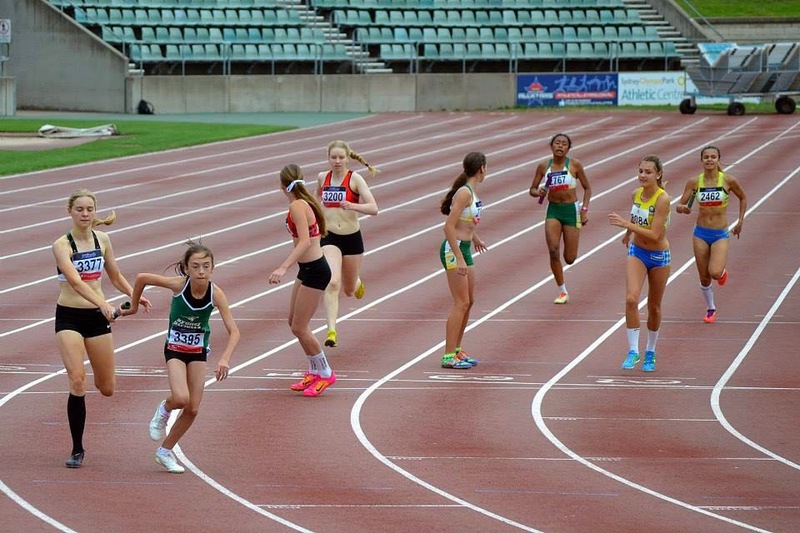 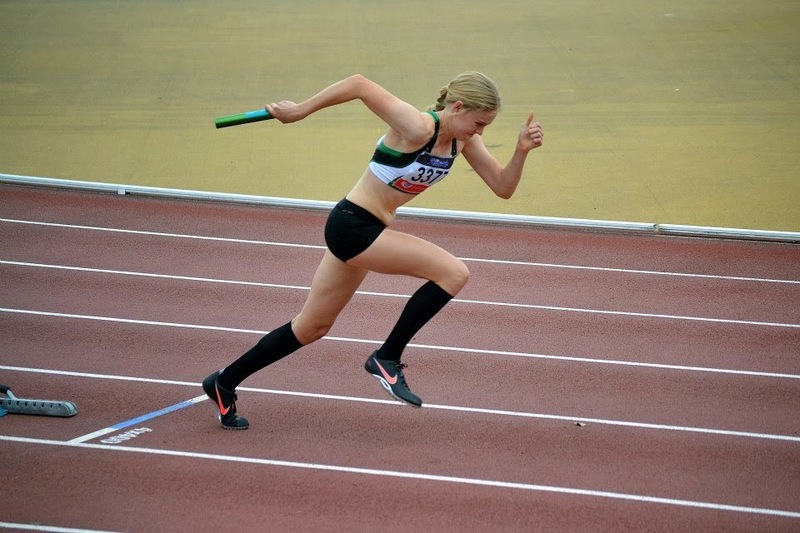 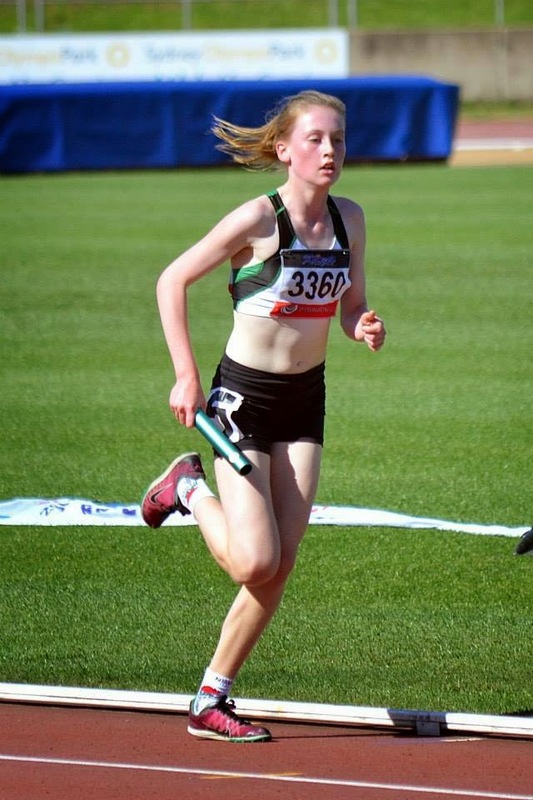 Tessa Constantine leading the girls off in the U16, 4 x 400m. 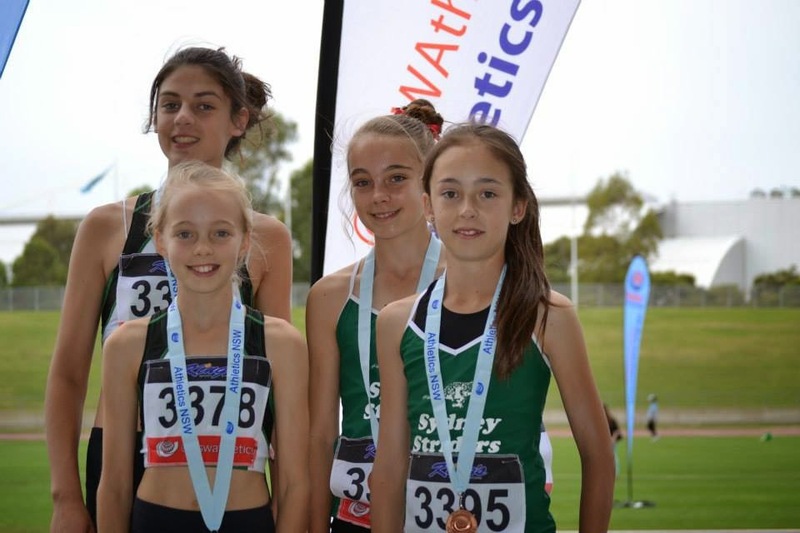 Later in the afternoon it was the girls back on the track, and after a tough race, with a great charge by Olivia Hogg moving the team from 6th to 3rd place, the team were rewarded with a Bronze medal! 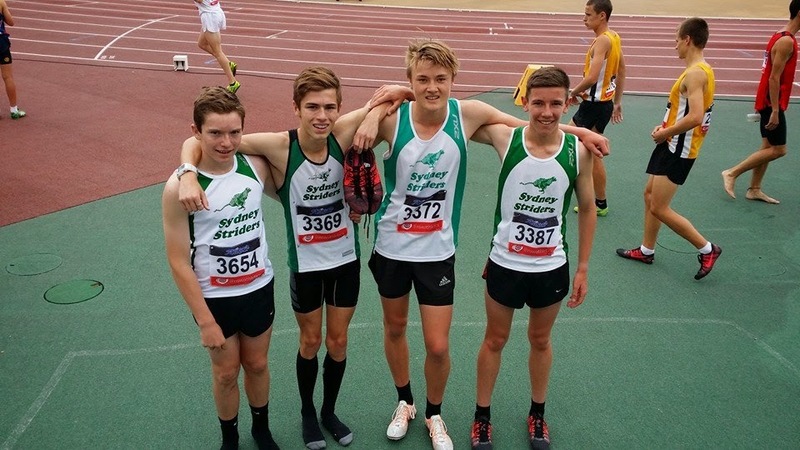 It couldn't get much more exciting for the U16 Boys 4 x 800 - Josh Phillips ran the first leg and broke 2 minutes for an 800m (very impressive! 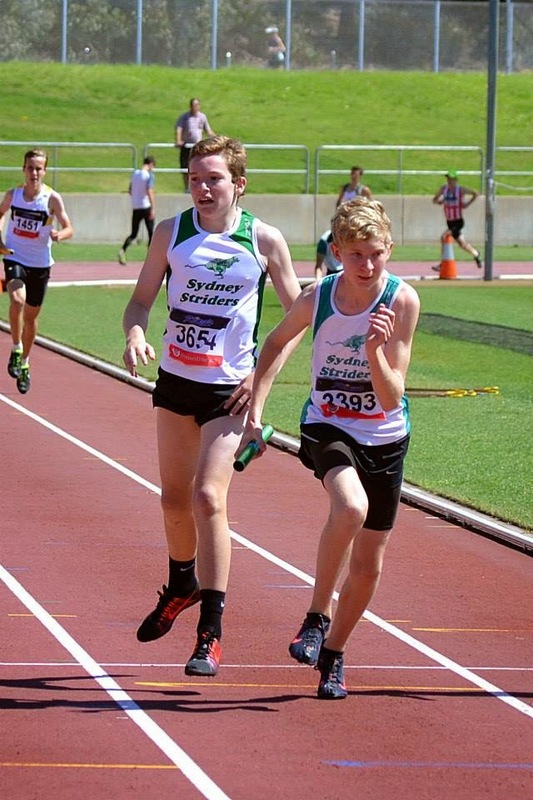 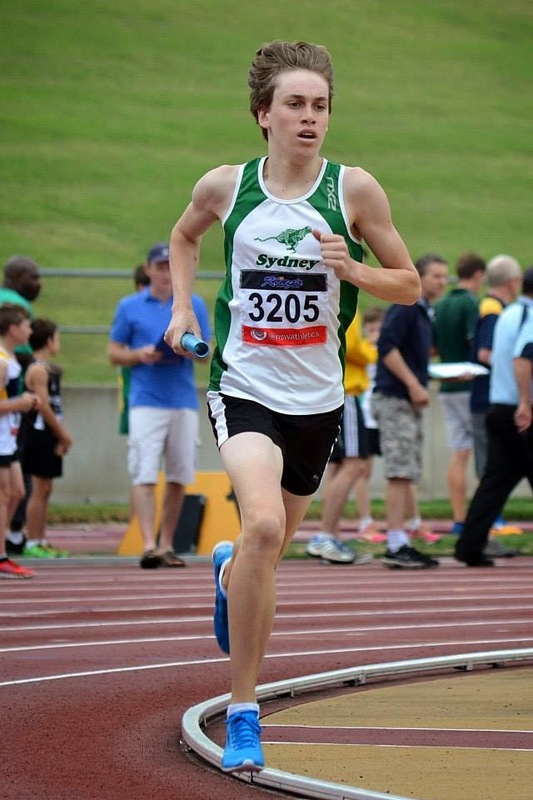 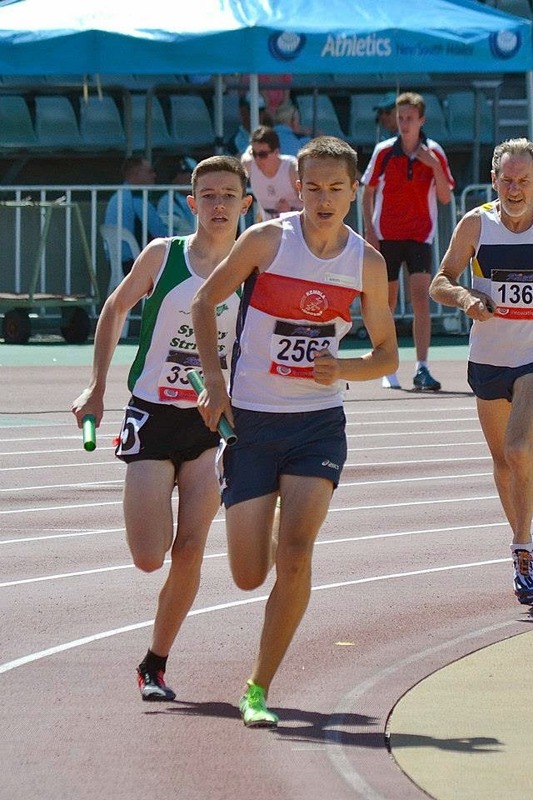 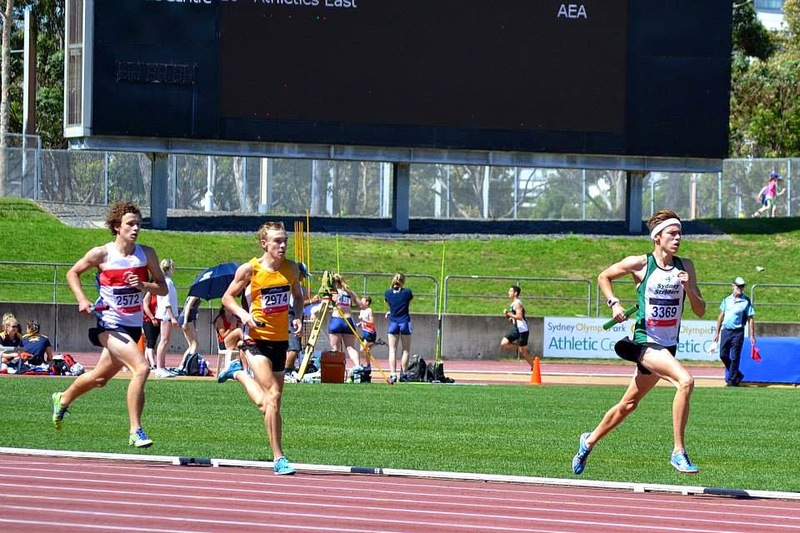 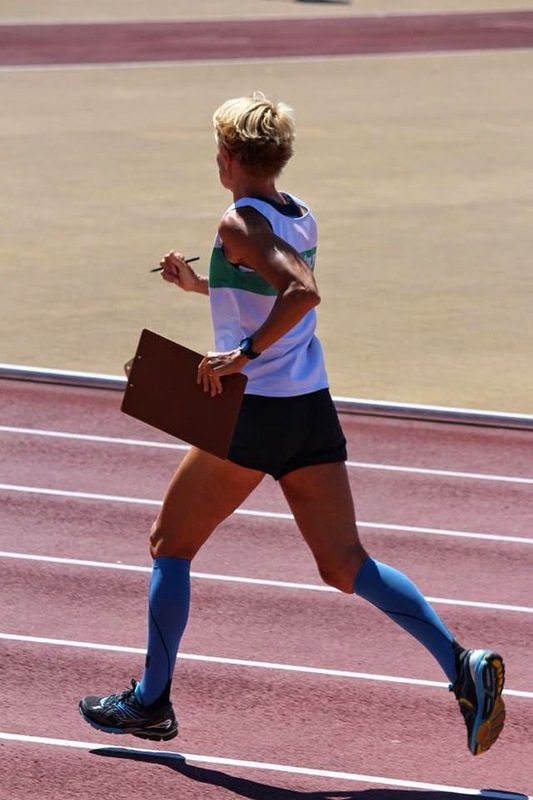 ); each leg had a major tussle with Kembla Joggers, our main rival on the day and finished up with a Silver Medal. 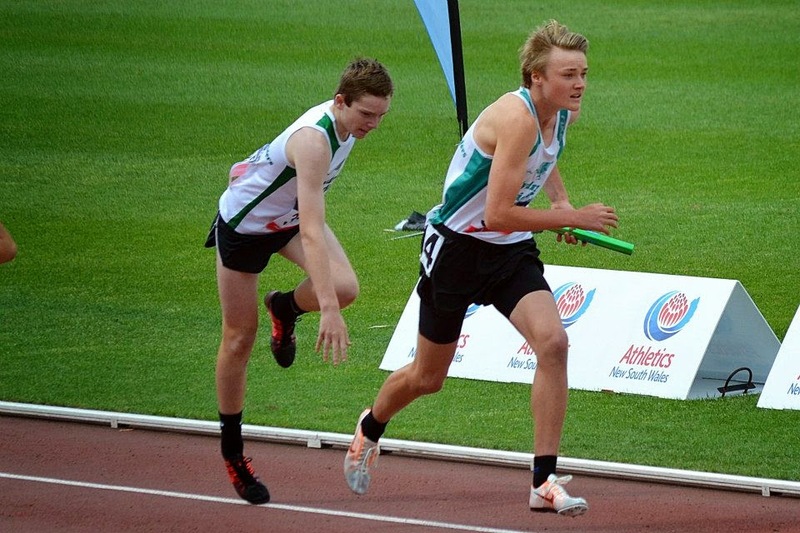 Day 2 continued with more epic battles, athletes giving it their all.. and the winds playing havoc on the track! 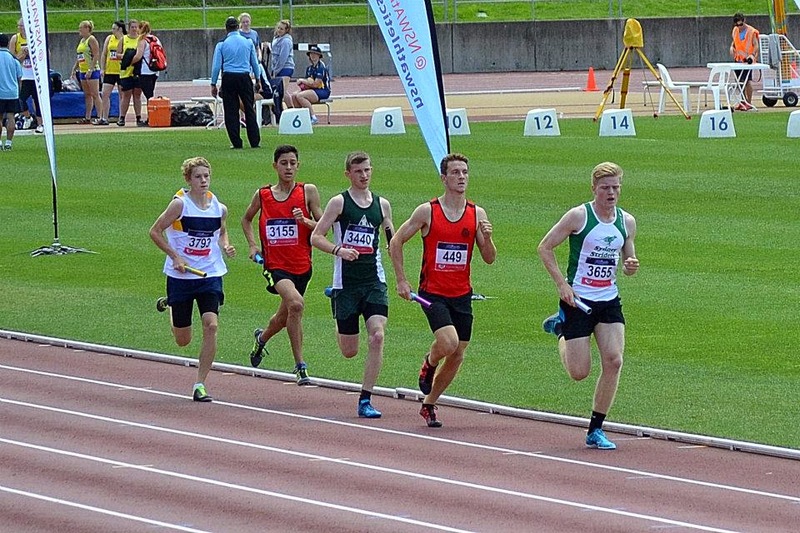 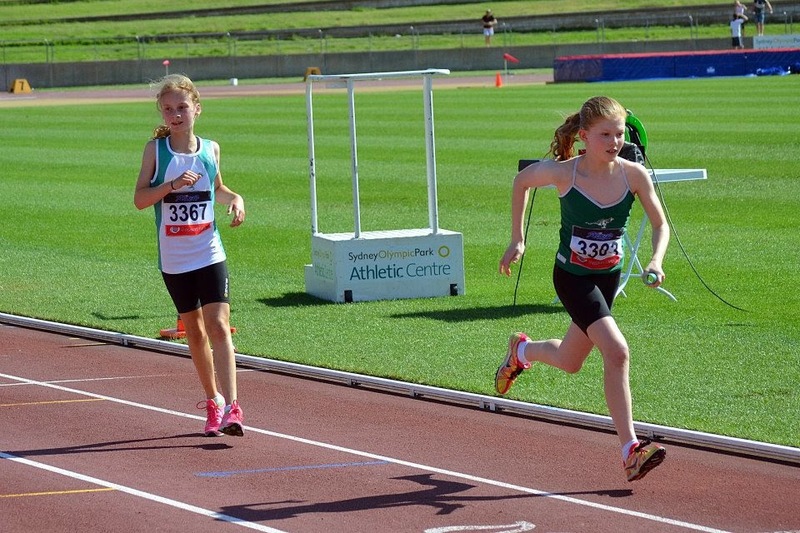 The two final races of the meet were the U16, 4 x 1500 boys and U14, 4 x 1500 Girls. 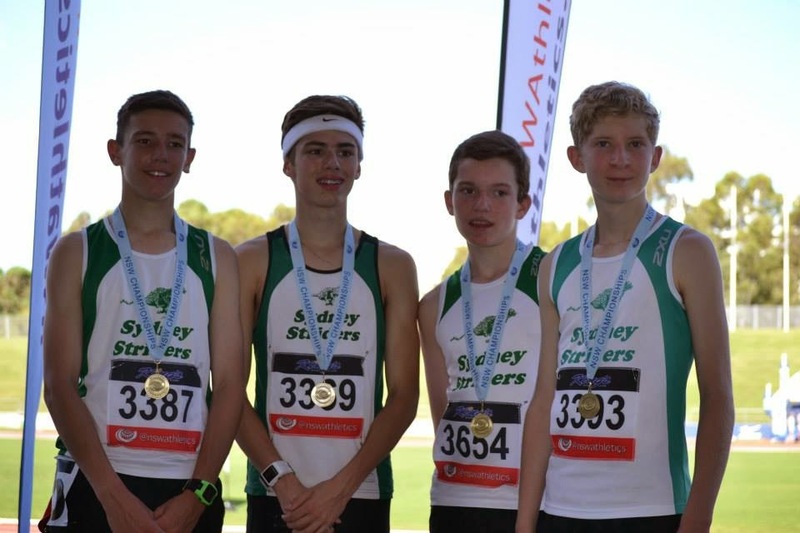 The boys have a great team right now and proved themselves by getting a well deserved Gold! 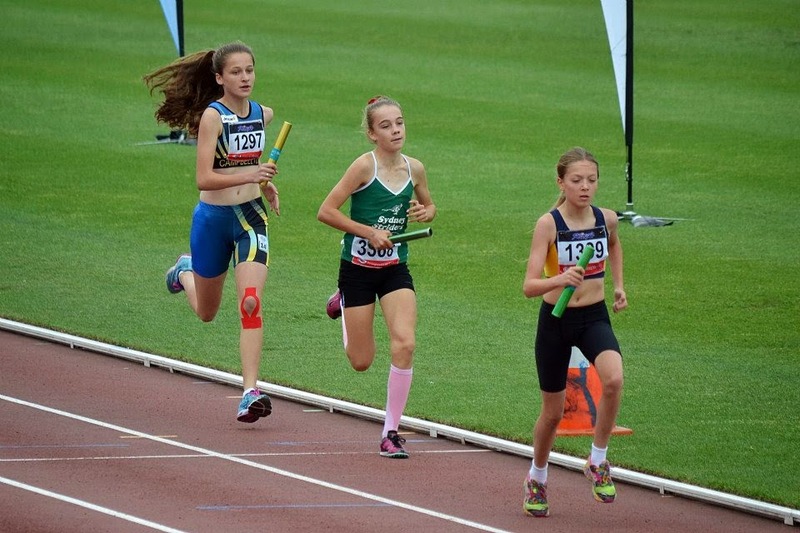 It was a gutsy performance by the U14 Girls in the 4 x 1500, finishing in 4th position. 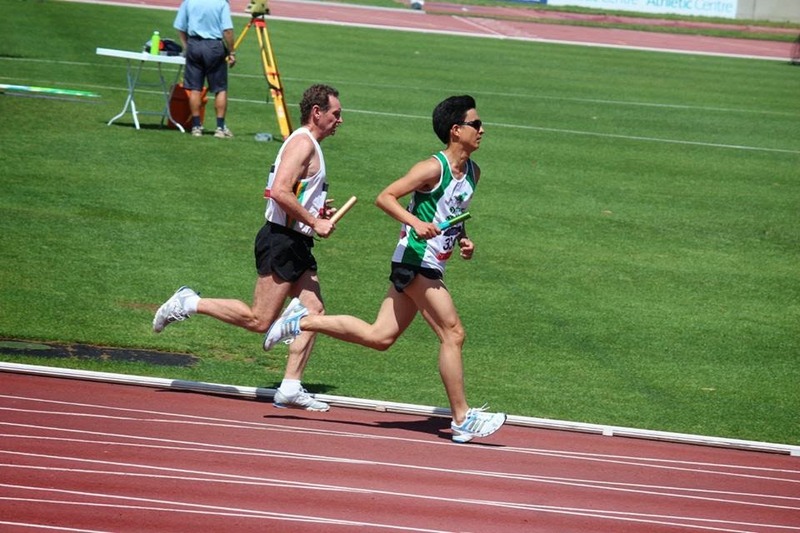 Tony Wong - trainer and runner!